The Xiaomi Mi 8 is official, confirming most of the rumors. The phone, celebrating the 8th anniversary of the Chinese company, comes with a Qualcomm Snapdragon 845, dual cameras and dual GPS. 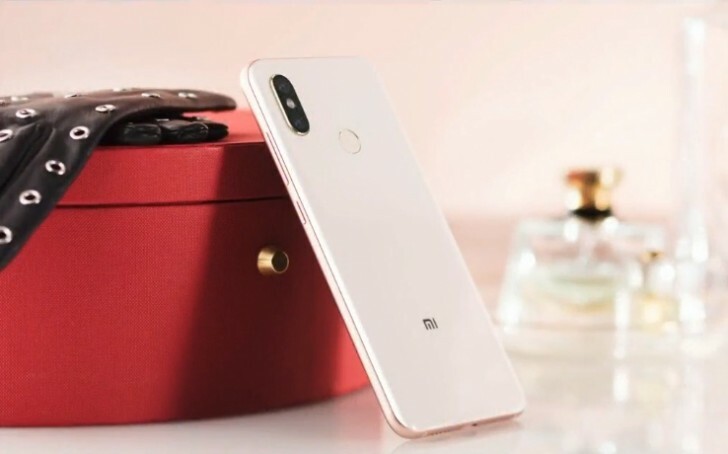 It is also the first official Xiaomi phone with a notch on the display that can be hidden with a toggle. The cutout is used for an in-house infrared solution for 3D Face Unlock that works in a dark environment. There is also a more exclusive version of the Mi 8, called Explorer Edition. It has an underscreen fingerprint scanner and a see-through back panel that gives a peek to the internals of the device. 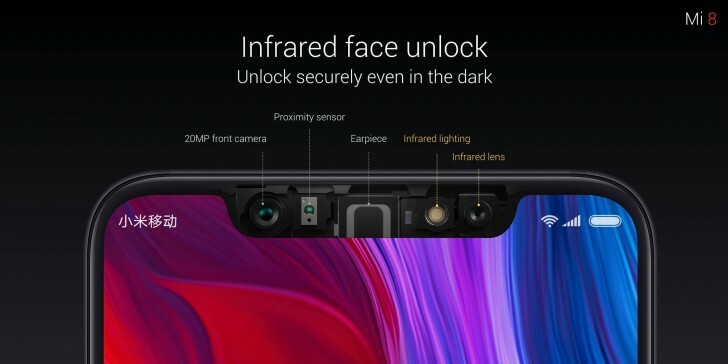 Introduced by the CEO of the company, Lei Jun, the Xiaomi Mi 8 comes with a dual camera setup of 12 MP (f/1.8, 1.4µm) + 12 MP (f/2.4, 1.0 µm), the second being a telephoto cam. It brings AI features enhancement for over 200 scenes and does 4-in-1 pixel binning for better low-light shots. The primary sensor is IMX363 by Sony, while the secondary is S5K3M3 by Samsung. The Xiaomi CEO proudly stated the phone reached a 99 points overall rating by DxOMark, more than the 97 score of Xiaomi Mi Mix 2s and the iPhone X. The photo category was rated at 105, mostly thanks to a new technology that allows shooting in extremely low-lit environments. It also has AI-enhanced portrait photography that we saw first in the iPhone X back in September 2017. The selfie snapper is 20 MP with f/2.0 aperture and also jumps the AI hype train with AI portrait selfies and AI Beautify. The face detection sensor separate and is not being used for selfies. While the Snapdragon 845 chipset was not a surprise, the Mi 8's staggering 301,472 score on Antutu sure was one. If the result is real, it will be the highest ever reached on the Chinese benchmark platform. The screen grew to 6.21” and uses a Samsung AMOLED panel with an 18.7:9 ratio. The resolution is Full HD+ or 2248 x 1080 pixels. The 3.5 mm audio jack was ditched back in 2017 with the announcement of the predecessor Xiaomi Mi 6, but at least there is USB-C for all the connections. The Xiaomi Mi 8 was announced as the first smartphone with Dual GPS. The phone binds the traditional L1 frequency, used in other phones with the L5 frequency, used mostly by the aeronautical industry. This should make location-based services like navigation more precise than ever. The phone will start from CNY2,699 for the 6/64 GB version. The 6/128 GB is CNY2,999, while the most expensive 6/256 GB version is CNY3,299. These prices translate to between $420 and $515, or between €360 and €440. The market launch is scheduled for June 5 when the Xiaomi Mi 8 will appear at online and offline Mi Stores as well as retailers like Brookstone and Suning. The Explorer Edition will have only one variant with 8 GB RAM and 128 GB storage. It will cost CNY3,799 or around $600/€500, but will hit the shelves a month later.